Not only are these companies making beautiful, luxury art but they are doing their part to save the planet. 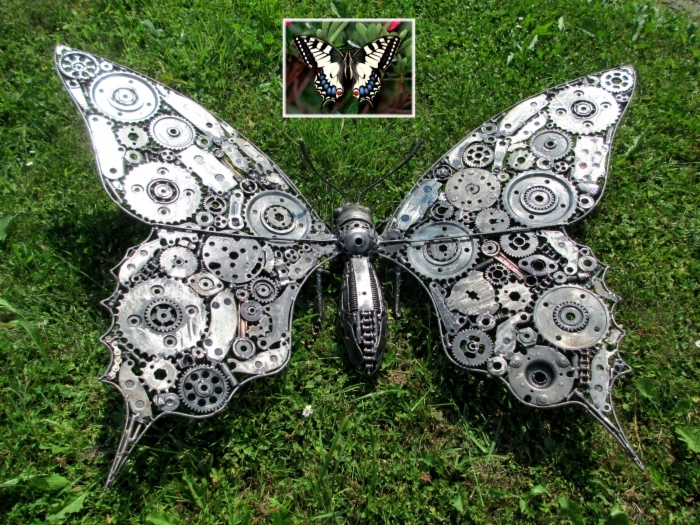 I find it very refreshing that entrepreneurs have taken something as simple as an oil pan and making it into a unique sculpture. 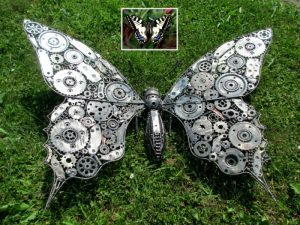 Not only are they interesting to look at, what conversation pieces each one is. 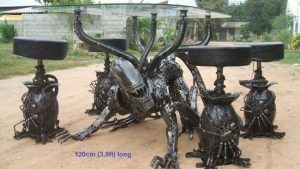 Some companies have made bar stools and table made to look like a predator, that would be a great addition to any bar or man cave. Or how about a coffee table made out of recycled car parts. If these don’t strike your fancy how about a full-size T-rex! 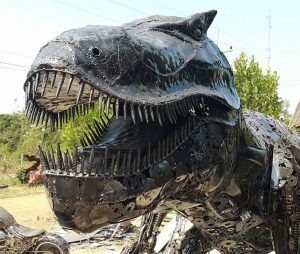 You would definitely be the talk of the town with a dinosaur guarding your house. 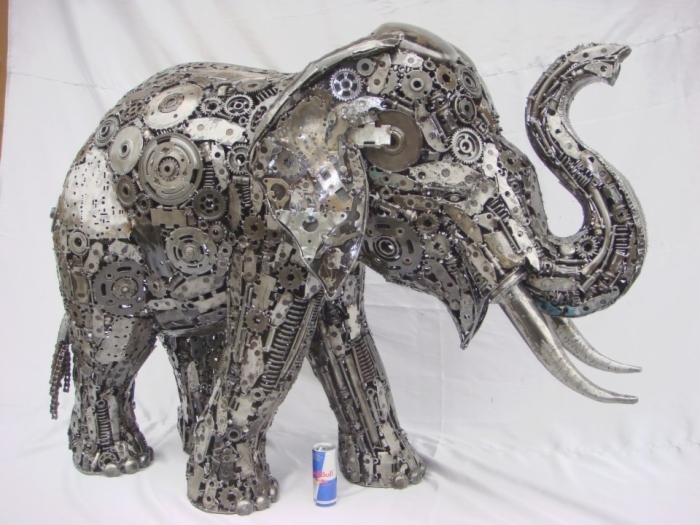 Recycle Art is another company putting recycling to good use and making beautiful recycled art. Man, these sculptures/luxury art are huge, anywhere from 2 feet to 24 feet! 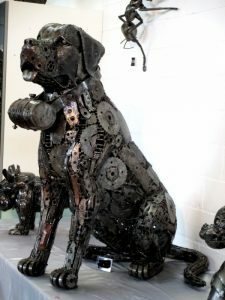 Not only would these sculptures be a great addition to a man cave but the smaller animal sculptures would be very welcoming at your entrance way. Your guests will be arriving with smiles on their face and they haven’t even entered your house or had their favorite martini.